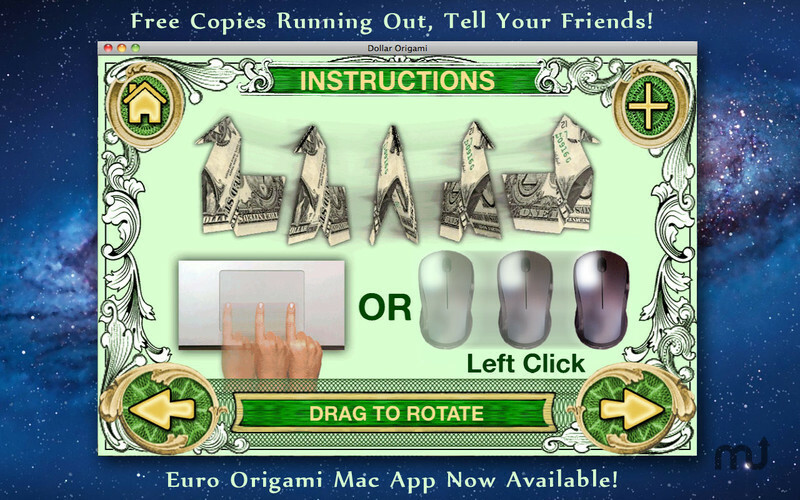 Is there a better alternative to Dollar Origami? 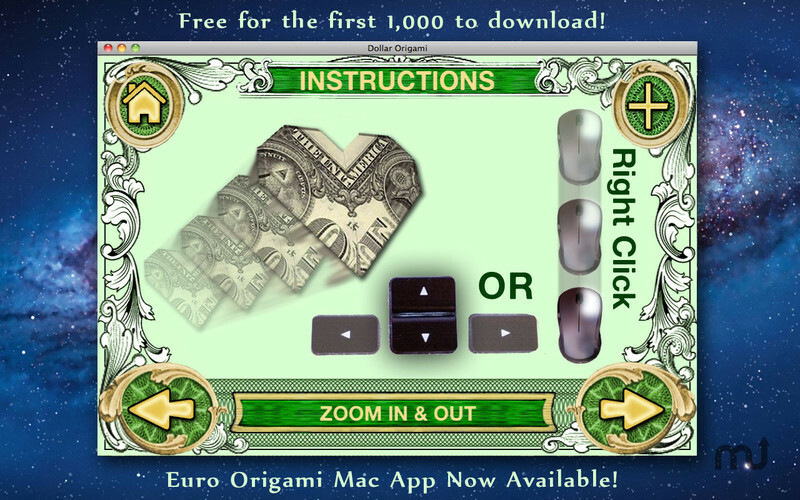 Is Dollar Origami really the best app in Miscellaneous category? 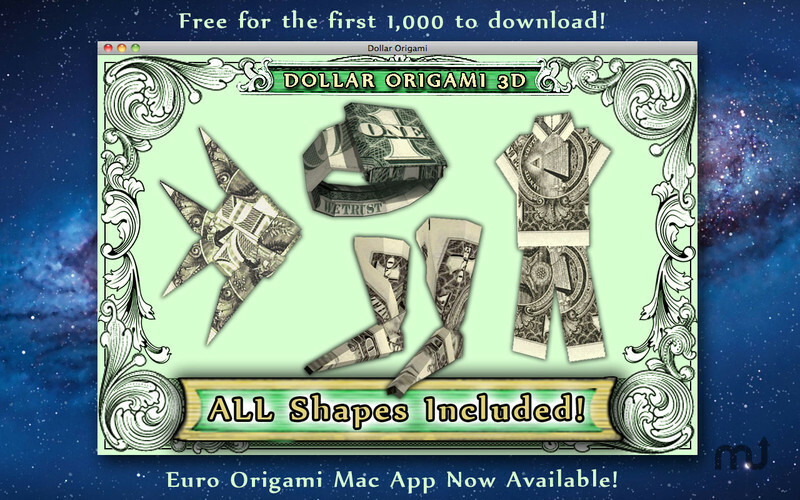 Will Dollar Origami work good on macOS 10.13.4? 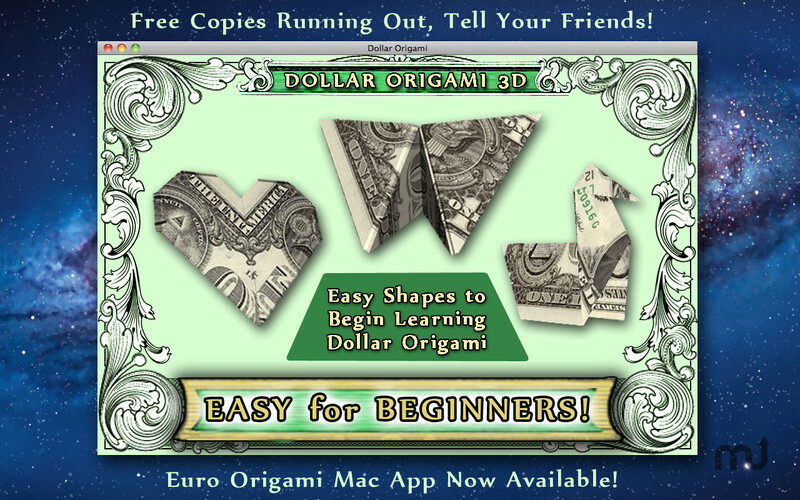 Dollar Origami is the EASIEST way to learn to fold shapes from Dollar Bills! We have many more shapes planned!New shapes will be included in free app updates. 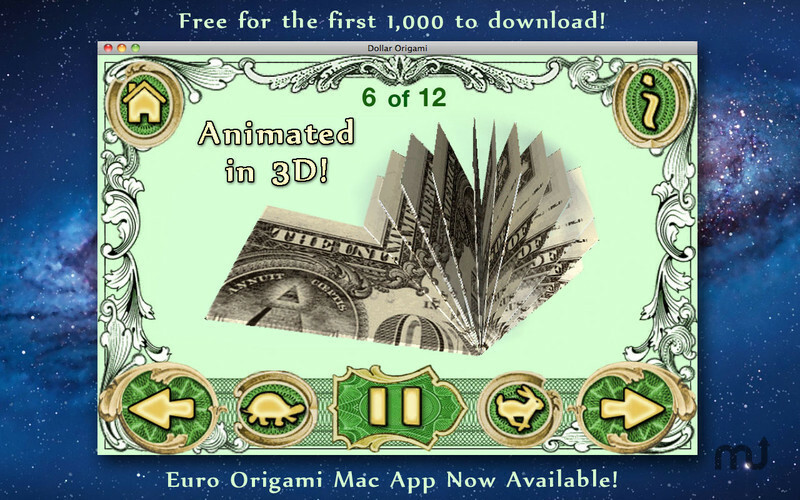 Dollar Origami needs a review. Be the first to review this app and get the discussion started! Dollar Origami needs a rating. Be the first to rate this app and get the discussion started!